In the middle of moving choas, I did something that wasn’t remotely related to relocation. I wrote. For an hour and a half. The joy came from returning to the latest Jennie Manning story, long over due and still not at a place where I want other people to see it. In case you haven’t been paying attention or it’s your first time here, I am writing a mystery series. This is something I’ve wanted to do since the age of 13 and this year I decided to launch it. I didn’t know what I was doing. Still don’t know but I’m having the most fun I’ve have in a long time. 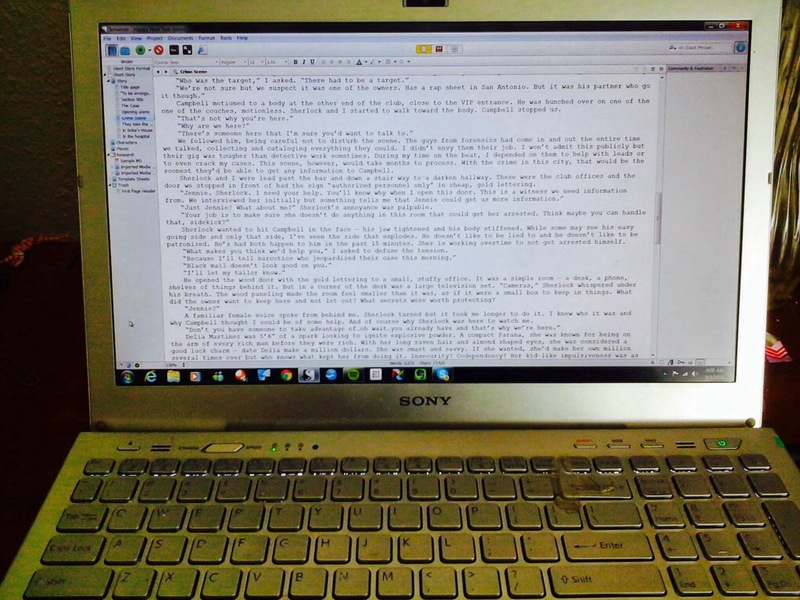 Right now, I’m writing longer short stories before the first book of the series. I’m doing that for both my and the reader’s benefit — I’m wanting people who look forward to the books not someone who is going to buy the book because they know me. It’s one of those marketing ideas that sound better than it actually is — build an audience for the book before it comes out. But at this point, I don’t care about marketing ideas. I’m getting a bit of an audience and it excites me. I love my readers. MY readers. It’s amazing to say that. MY readers who are looking forward to the next story in the series. I know few people get to say that; I’m glad to be one of those who can. So last week, I treated my readers to something amazing — a seven minute audio snippet of the current story. When I recorded the audio, I felt amazing doing it because I know that the folks who were going to listen to it were curious about, well, what is taking so darn long. I hope that the audio answers the question. I want to always treat my readers like royals, they deserve it, they are making a dream come true. So, I still don’t know what I’m doing (Jennie just revealed a big secret and I’m kinda excited about it) but man, ain’t it awesome how this is going. I’m off to write the next scene! If you want to hear the audio and read the first story, sign up here and it will be sent to you right away!